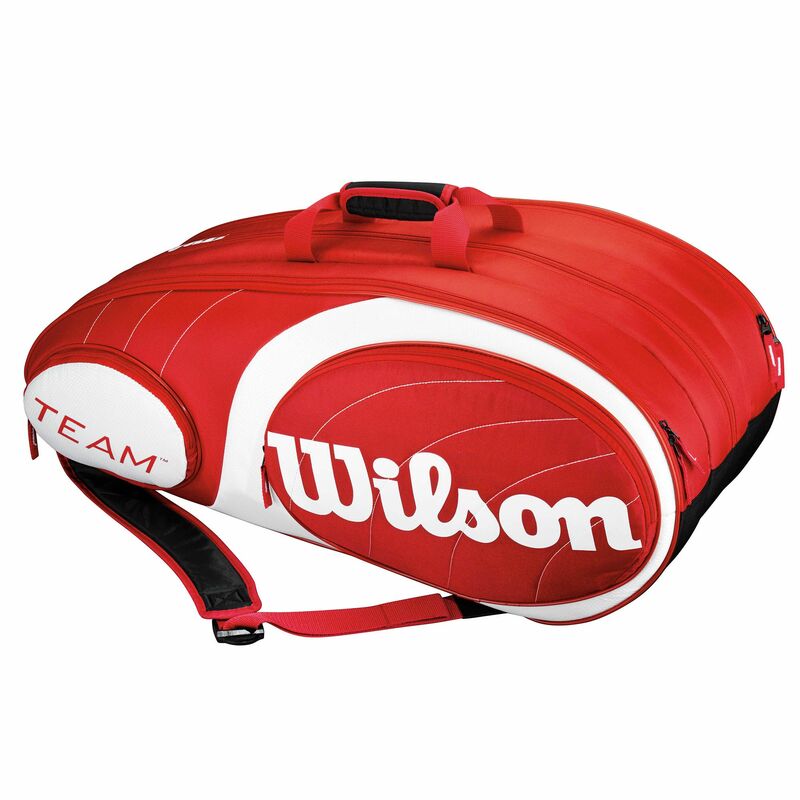 The Wilson Team Red is a spacious 12 racket bag with 2 main compartments and a large compartment for shoes and apparel. It has large accessory pockets and is supplied with an adjustable shoulder strap and 2 carry handles for easy transportation. The bag is 76cm (29.9”) long and comes in a red/white colour. for submitting product review about Wilson Team Red 12 Racket Bag.